My name is Sara Walch. I started showing symptoms of AS when I was 12, and it took until I was 18 to get diagnosed, because this is an adult man’s disease according to doctors. 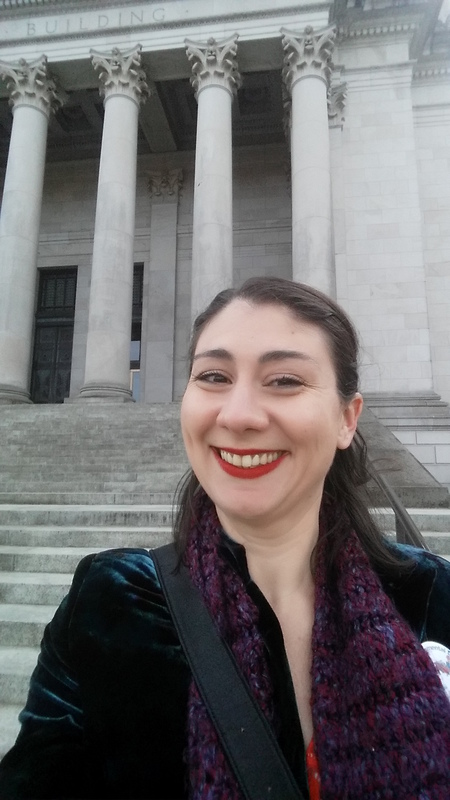 This photo was taken last year when I visited Olympia, WA to advocate to legislators on behalf of people with intellectual and developmental disabilities. Because AS takes away so much, but it will never take my voice.